This was the hardest part of building the guitar, no question. But it was also really fun. I thought about making a form with a pad heater to bend my sides similar to how Sevy did it here. But I eventually decided against it since I am not a professional guitar builder and didn’t want spend the time and money making a worthwhile jig. So I decided to just make my own bending iron and give it my best shot. To make the iron I simply took a piece of 4 inch pipe and welded on a piece of flat bar so that I would be able to hold it securely in a bench vice while I was applying pressure with the guitar sides. Then I squished the pipe per the recommendation of Natelson and Cumpiano. I found it actually did help when bending the wood since the flatter part of the ellipse shape made it easier to get more of the side’s surface touching the hot pipe’s surface making bending faster. 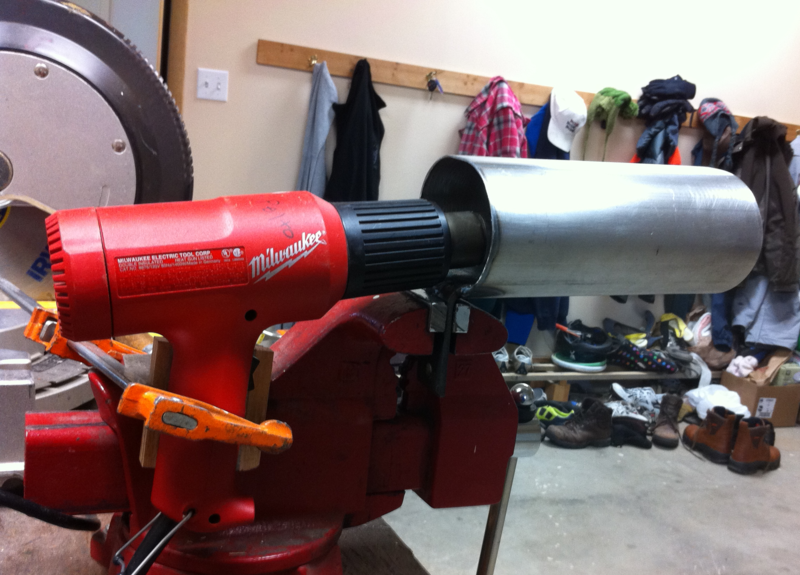 To complete my super professional bending iron I inserted a heat gun with a scoop to blow hot air onto the inside top of the pipe. Actually I will say that by the end of bending my sides I was quite pleased with how well this setup worked – it just took a while for me to figure out how to use it. Now on to the actually bending part of it. First I’ll show some pictures of my attempts at side bending and then I’ll try to explain in words what worked for me and what didn’t. This was the first side that I bent. As you can see I burned it pretty bad, luckily the burns were on the inside. My first side also had some major cracks in it, but fortunately they were for the most part on the edge of the side that was going to be trimmed off. The first side after I’d clean it up a bit, and the first bend of the second side. The second side went a lot smoother. Soaking part of the second side. Luckily I wasn’t seen or I’d have been in trouble for sure, those cookie sheets are just so perfect though! Both of the sides completed. Soaking the whole board at once. I was working in extremely low humidity and by the time I had even made significant progress on my first bend the whole board was basically dried out again. Individually soaking the parts of the board that I was working on ended up working out a whole lot better for me. Soaking the board every five seconds. At one point I thought it would be best to keep the board as saturated with water as possible. This in itself is probably not a bad idea, but it had the unwanted effect of keeping the bending iron cold and consequently the board would never heat up to become plastic enough to assume a bend. Interestingly I also noticed that scorching and wood splitting increased when I soaked the sides too much. Wearing gloves. I found that I did my best bending when I wasn’t wearing gloves. When I wore gloves I couldn’t feel what was going on and I became less sensitive to the temperature of the wood and that led to more scorching and lots more wood splitting. Letting the wood heat up before trying to bend it. This sounds obvious, but it was the thing that took me the longest to learn. I found that the best bending happened just as the water in the wood started to evaporate. Right at that temperature the wood became plastic and limp and I could feel it assume the bend. But I noticed this state wouldn’t last long as more and more water evaporated making the wood dryer and stiffer and more prone to splitting so I would have to re-soak it for 5 minutes or so and repeat the process. Bending the wood by “rolling” it around the pipe. This was by far the more effective technique that I used. 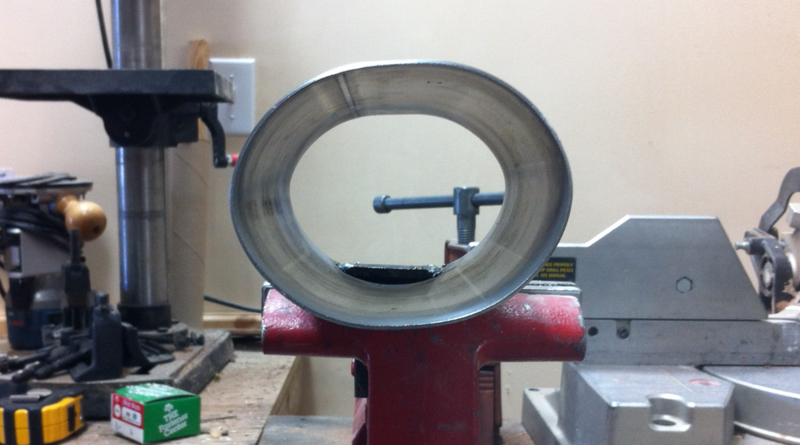 I would start by placing the side on the pipe at the beginning of the curve. 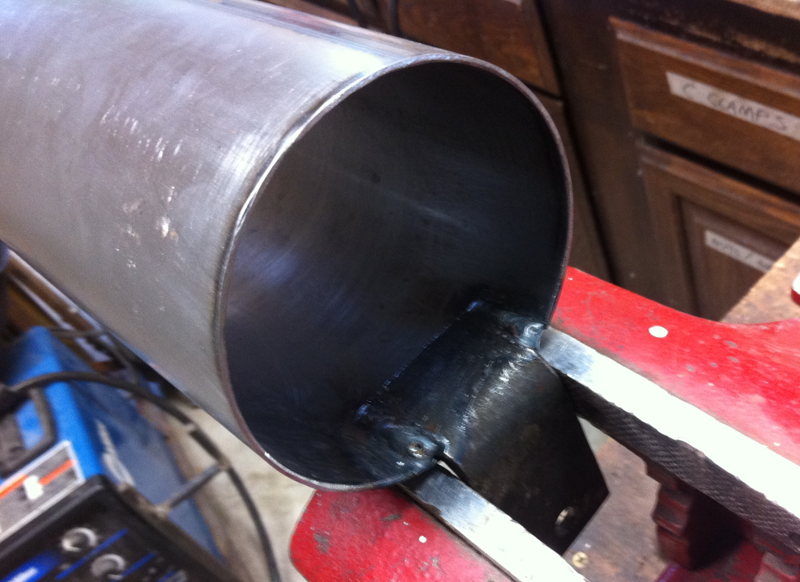 I would then wait until it reached the perfect temperature as I described above and then I would slowly slide the side forward while carefully bending (rolling) the side around the pipe. Holding the bend in place after taking it off the iron. This one took me a while to understand. If I didn’t hold the bend of the wood in place with my hands after I removed it from the iron it would loose a significant amount of its bend while cooling off, but if I held it in place while the wood cooled the bend would actually take hold quite well. Natelson and Cumpiano recommended this in their section on wood bending, but of course I was so excited to start I didn’t take the time to read the whole section until after I was almost done. 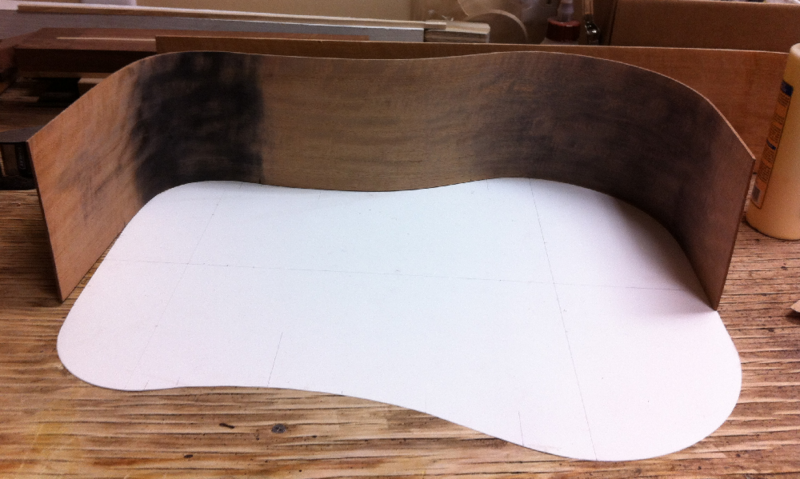 Placing a mark on the edge of the side to delineate the center line of the guitar. I used that mark to ensure when I was checking the shape of the side against the paper template that I was placing it in the exact same place on the template every time. It sounds obvious, but it took me a while to figure it out (which of course doesn’t mean that makes it not obvious). 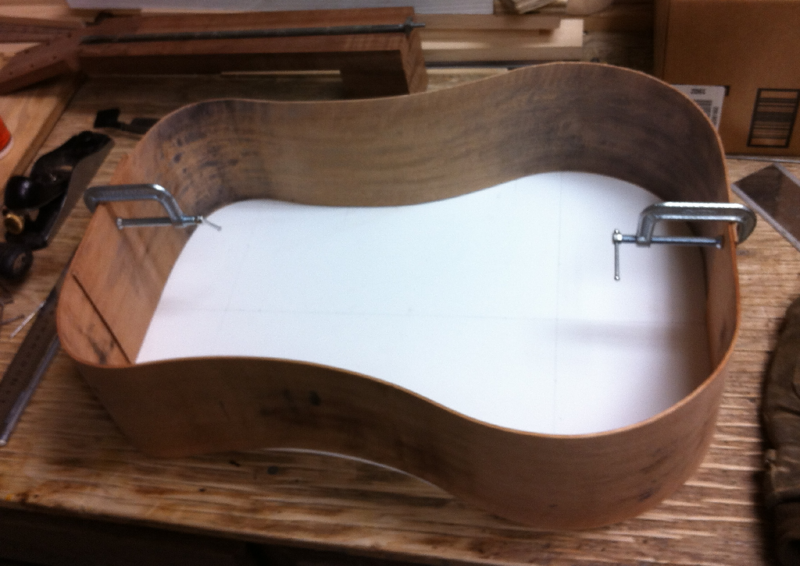 After I finished bending my sides I went on to attach them to the soundboard. Thanks very much this has been very informative. How long in hours do you think it takes to build roughly? Sorry for taking so long to approve and reply, I’ve been away for the past few weeks and your comment slipped my notice. That a really good question and kind of hard for me to answer since in my job I worked a week on week off kind of thing. If I tried to average it all out I’d say I worked maybe 20 hours a week on it and it took me roughly from Jan to April so that would be 320 hours, but something tells me I ended up working a lot more than that with all the late nights I put in. Also I consider myself to be a pretty slow worker when I’m doing something for the first time and I want to do a good job, so surely it would take someone else much less time. Anyway hope that helps! This has been so helpful! I’m just wondering though, for bending the wood, how did you get it to line up so well with the body plate? How do you bend the wood so that it is so accurate? As well, if you mess up, can you rebend the wood? I’m very glad it was helpful! And it never did quite line up perfectly so I’ll just say that first off. But as far as getting it to line up with the body plate it honestly just took me a lot of finagling and trying different things until I was happy with what I had and yes, thankfully you can rebend the wood if you get too much of a curve in it or if you find the curve has been put in the wrong place as I did many many times. But basically it just took a while, lots of tweaking and going back over it until I got something I was happy with, but I have to say I had a good time doing it. I hope it goes well for you! I’ve bent some thicker wood for canoes I’ve built. I soaked the wood then put it in a steam box. Then used a clamping jig (desired shape cut from plywood ) onto which I slowly clamped the wood. I was thinking I could use the same process with cut outs from the mold a a jig. Do you think that might work? 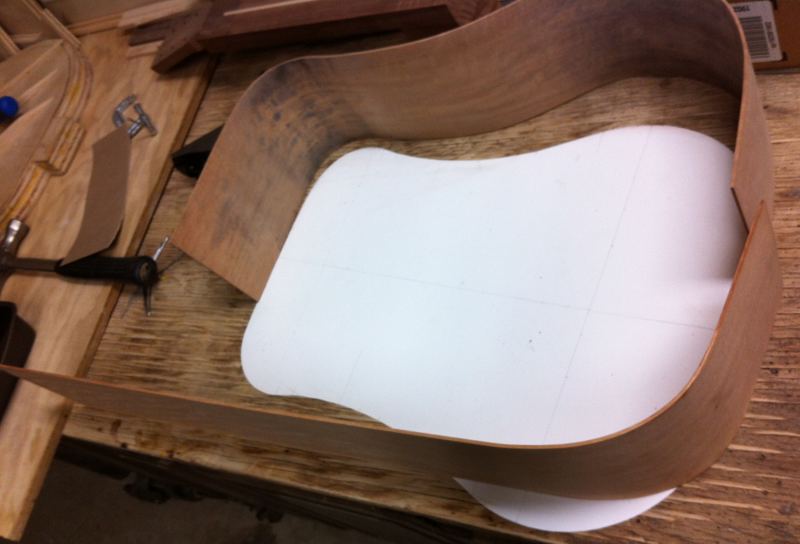 I am building my very own violin and I would like to share my experience with bending the ribs. Guitar sides are anywhere near the tight curves of a violin, so it can be considered unnecessary, but I am sure this can be useful. As you figured out, soaking hard wood is not working well when you bend on and iron. It is best to just apply some water on the surface using your fingers/brush. Wet it again once it evaporates if needed. The bending part itself can be made fairly safe when you apply pressure on the wood from the outside rather than pulling the wood onto the iron. Strip of soft sheet metal, some wide belt, anything would do the job. When you wrap it over the wood a pull it on the iron, you minimize the risk of breaking and you can even make some tighter curves. Thanks for the tips Michal! !